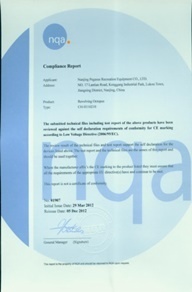 Management of the Quality Control – As we all know quality is the lifeline for manufacturers. Follow this principle, our Company pay great attention to the quality, and we have a set of quality control system from design to delivery, covering the whole process; the staff of our company must be trained about quality awareness, so the sense which we should make high quality products will be strengthened; and the treatment of the defectives, we have the specialized department to recycle or destroy them. 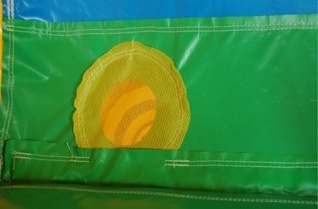 Design of the Quality Control – As the inflatable products are used for children’s playing, fitting for children’s running、jumping、climbing、sliding and so on, when the products are designed, we do think about the Tolerance, Cushion and how to adjust the Power, Speed, Kinetic Energy and Potential Energy, to ensure that the design of products is reasonable, safe and fun. Apparently, the safety issue always upon to the priority level in our concept of design. 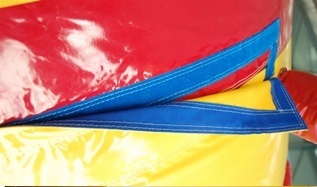 Raw Material of the Quality Control –The composition and quality of the fabric used to make a inflatable greatly influences the inflatable abrasion resistance and seam bonding strength. Definitely We pay top dollar for our fabric to provide the most durable tube on the market. No matter the basic material such as PVC、PE, but also the spray paint. Before they are used in the products, they must be specified by inspection team which is consisting of procurement department, QC department, production department. Besides the inner supervision, we will invite the Certification Company to check the physical features and chemical features, etc, to make sure that the Raw material meets all safety standard. 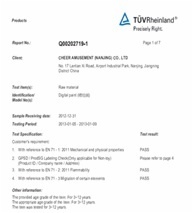 So with such strict test, the materials have no toxic, no lead and approach the high fire proof standard as well. The Quality Control of Equipment – all of our machines that use in inflatable are provided from excellent suppliers with full of experience and famous brand both here and abroad. Certainly, we have standard procedure to maintain and update the machines by specialized technicians. 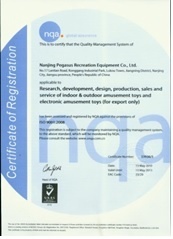 The purpose is to keep the equipment in the outstanding performance continuously. 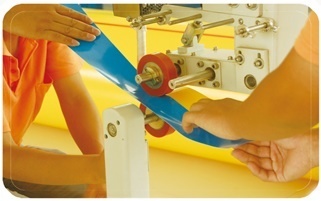 The Quality Control of Manufacture – As a professional manufacturer, we accumulate amount of experiences and solutions during the inflatable production. We figure out the product characteristics such as vulnerable parts, bearing parts. Regarding these characteristics, all the inflatable products of our company are double material design in grounding part and double sewing technology in taking parts. Specially, we adopt the method of gator mouth to reinforce the handrail, entrance of the inflatable. 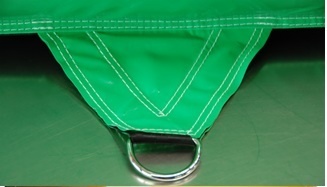 The outside and inside workmanship of seams are formed along the entire length of the seam to create a smooth finish. This extremely request helps prevent abrasion wear and prolongs the life of the inflatable.